It is the obvious question that arises in the mind of ones who are using cPanel for managing their websites. The password you will be getting will be consisting of alphanumeric characters. There can be small letter alphabets along with capital letters and special characters. This is because to maintain the strong security level in the password. You may be thinking that it is good if we are given such a strong password by default. Although it is, by using such passwords it is hard for anyone to crack our password. But have you thought how will you be dealing with such passwords? These kind of passwords are hard to memorize. So what will you be doing to log in?? One thing can be that you note down your password into any diary and whenever you need to open cPanel just copy from the diary and enter into login dialogue box. But what, if you are away from your home and want to login? Obviously, you can not carry your diary ( or paper where you have written your password) along with you all the time. So it is quite necessary to change the password. You can, however, make such a strong a password by using alphanumeric characters which “you can easily remember”. Open the cPanel what you have been provided. 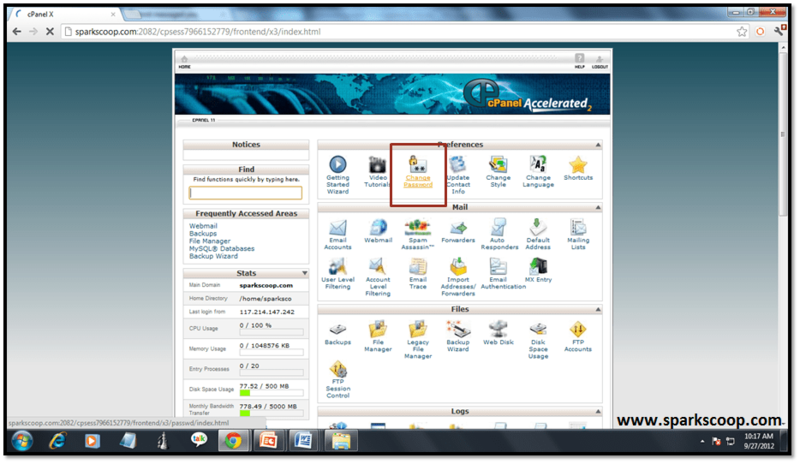 For more information how to open cPanel. 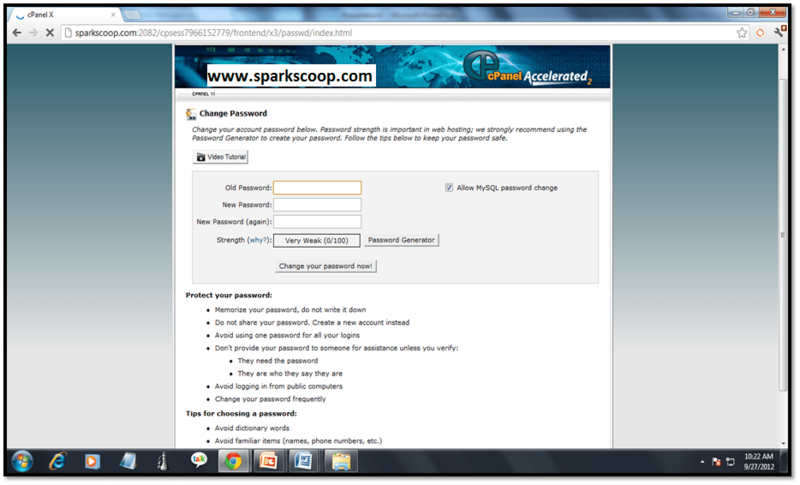 Click on the “Change Password” option which is highlighted in above picture. Firstly you have to confirm your authenticity by entering the old password in the First column. Type the password that you want to set for your login. You can see your security level or strength below it. Lastly, click on “Change your password now! “. Now you have successfully changed the password. Now onwards you will be authenticated by this new password. Enjoyyyy!!!!! For any feedback or doubts do mail me.